This may be easier than you think. You can use less water by installing shower heads with flow rates designed to save water. The less water you use, the less water will need to be constantly heated. Baths use a lot more water than showers do. Plus, there’s always the temptation to heat the water up and stay longer when you’re in the tub. Most people have their water heater temperature set quite hot. Yet, it is not necessary to have it so high. Lower the temperature slightly and you could notice a decrease in your heating costs. However, be careful to note what type of water heater you are using first. Do not cover the thermostat if it is an electric heater. Natural gas or oil water heaters need to have the thermostat, top, bottom, and burner kept free from any covering. Today most items do not have to be washed in hot water. When you are doing your laundry, consider using the cold water setting to save on water heating costs. These are just a few tips from the Hot Water Now team. Water heater not working efficiently? We can help! One of the reasons why your water heater could be costing you money is that it is no longer working efficiently. If you are unsure of why it’s not working as it should, ask us about water heater repair or water heater health checks. At Hot Water Now, we assist you with reducing your water heating costs and protecting the longevity of your water heater. For more advice, contact us at Hot Water Now or look at our FAQ page today. Should you make the switch to a tankless water heater? What size hot water heater should you install? 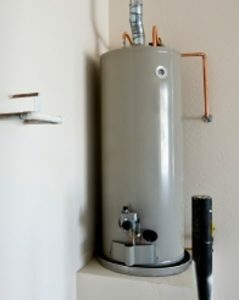 How much does a hot water heater installation cost?